Carrer Antic de Sant Joan is a street in the center of Barcelona, where some hip store are located. For example Casa Munich with its lustrous dark wooden floors and classic black-and-white striped wallpaper. And with a crystal chandelier on the ceiling, Casa Munich on Carrer Antic de Sant Joan doesn’t looks like a regular sport shoe store. But it is a fitting environment for the sneakers with the striking X logo that enjoy cult status in Spain. The colorful shoes are still made in a factory in Barcelona, as they have been since the company was founded in 1939. Ciutat Vella, meaning in English “Old City”) is a district of Barcelona, numbered District 1. 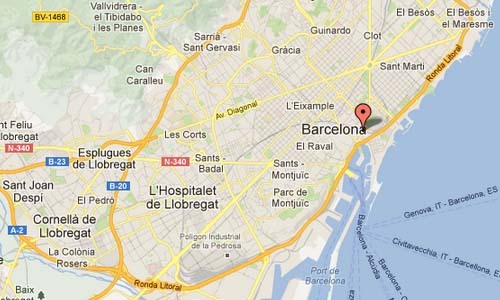 The name means “old city” in Catalan and refers to the oldest neighborhoods in the city of Barcelona, Spain. 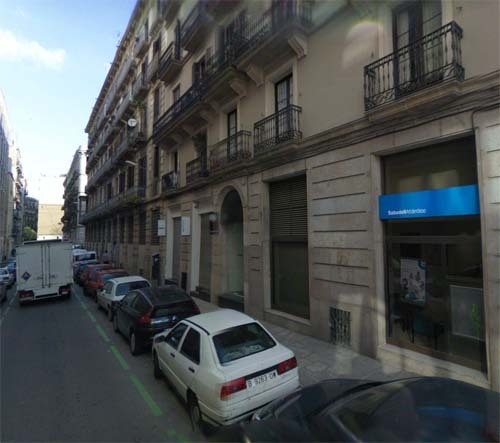 Ciutat Vella is nestled between the Mediterranean Sea and the neighborhood called l’Eixample (the Extension.). It is considered as the centre of the city; the Plaça Catalunya is one of the most popular meeting points in all of Catalonia.